Home Basketball Bill Belichick IS Gregg Popovich, Finkle IS Einhorn! Bill Belichick IS Gregg Popovich, Finkle IS Einhorn! Have you ever seen them in the same room at the same time? Bill Belichick is Gregg Popovich, Gregg Popovich is Bill Belichick. They are the exact same human being. Here is why. Based on their respective styles in dealing with the media, we hear a lot of comparisons between New England Patriots head coach Bill Belichick and San Antonio Spurs head coach Gregg Popovich. What we don’t hear anything about is how similar their careers have been in terms of development, duration, style, and success. Let’s start with this statistical comparison of their head coaching careers. Then we will compare their personal lives. I’m throwing out Belichick’s time in Cleveland because one of the enduring parts of this comparison is longevity with each coach’s current franchise. The numbers are insane and almost identical. Sure, Belichick has Tom Brady and Popovich had Tim Duncan, but outside of those core players, it’s a revolving cast that fills roles as needed without spending money. And they never deviate. Ever. Ask Deion Branch or Dennis Rodman about how that works. The systems that both coaches have established for each franchise is greater than any individual player. Systems they learned while under the tutelage of some of the greatest coaches in both NFL and NBA history. Belichick’s first coaching job was given to him by Ted Marchibroda in 1975, whose coaching tree includes Marvin Lewis, Eric Mangini, Jim Schwartz, Lindy Infante and Ken Whisenhunt. From there he joined the New York Giants and worked under head coach Ray Perkins, while working alongside fellow assistants Romeo Crennel and Bill Parcells. When Perkins was fired, Parcells became head coach of the Giants and Belichick was promoted to defensive coordinator. New York won two Super Bowls in five years. After four years in Cleveland, Belichick again worked under Parcells, this time in New England, and they would eventually lose to the Packers in Super Bowl XXXI. Belichick followed Parcells to the Jets as an assistant before eventually being hired by the Patriots. Popovich’s journey from assistant coach to head coach is equally star-laden. After striking up a friendship with then University of Kansas head coach Larry Brown, Popovich joined Brown’s staff when he was named head coach of the Spurs in 1987 and stayed until 1992. He coached alongside notable coaches like Alvin Gentry and Ed Manning, father of stud NBA player Danny Manning. In 1992 he joined the Golden State Warriors as an assistant under NBA Hall of Fame coach Don Nelson during the height of the “Run TMC” era. In 1994, “Pop” returned to the Spurs as the team’s GM. 15 games into the 1996-97 season, he fired head coach Bob Hill and hired himself as head coach. The Spurs went 20-62 that season (Popovich’s only sub-.500 season), secured the number one pick in the 1997 NBA Draft, drafted Tim Duncan and the rest is history. Belichick was hired by New England in 2000. Since then, the other 31 NFL teams have used 140+ coaches. Popovich is the longest tenured coach amongst all four major professional sports. Belichick’s Patriots have won 10+ games in 15 consecutive seasons and made the playoffs in 15 of 18 seasons, missing them only in 2000 (his first season), 2002, and 2008. Popovich’s Spurs’ teams have won at least 50 games for an NBA record 18 straight seasons and have made the playoffs 21 straight seasons. Are they the same person? Well, we’ve never seen them in the same room at the same time, a la La Toya and Michael. The similarities are striking, both personal and professional. Belichick and Popovich are three years apart in age. Both are of Croatian descent. Both have military education in their backgrounds, with Popovich actually serving time in the U.S. Air Force. Both played their chosen sport in college. On the inside, they are true old-schoolers that emphasize team performance over individual achievements, even down to the way they sidestep acclaim heaped on themselves. What kind of conversations does Belichick have with Parcells at this stage of his career? What does Popovich talk to Larry Brown about? Both Parcells and Brown experienced uncommon success in their coaching careers, but they have been eclipsed by their former pupils. What are those exchanges like? Invariably, a new successful coach, and potentially coaches, will emerge from the coaching tree of both Belichick and Popovich. But will they ever beat the master? Have they set the bar so high that it’s beyond reach? Is Bill Belichick the greatest coach in NFL history? Is Gregg Popovich the greatest coach in NBA history? Finkle is Einhorn and Einhorn is Finkle. Bill Belichick is Gregg Popovich, Gregg Popovich is Bill Belichick. Matt Bonner Haircut: Why Is Vincent Van Gogh Holding A Basketball? I’ve been a freelance journalist since 2000 and have had my work published via AskMen, Sports Illustrated, Bleacher Report, Busted Coverage, and Autotrader. I’ve done stand-up comedy. I'm a dad, youth soccer coach, and team statistician for the oldest indoor football team in the world, the Omaha Beef. I own a design agency in Omaha, NE called little guy design. I’ve married six couples in 10 years and my Marriage to Still Married ratio is 6:6. I always say, it isn’t so much about the “love,” as it is the tasteless jokes that became vows. 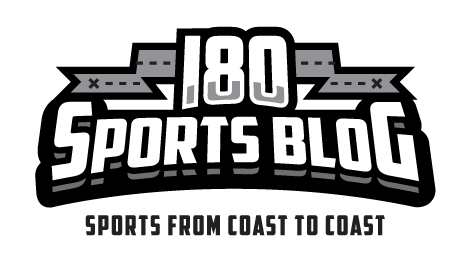 I started the I-80 Sports Blog to have all the work I've published located in one place and to write about things I want to write about. I don't take anything too seriously and it is a real time saver. Muggsy Bogues Height: Would He Be “Overlooked” In Today’s NBA?